Clarence La Roche was born in 1895, the seventh child of John Henry La Roche and Jane Catt. 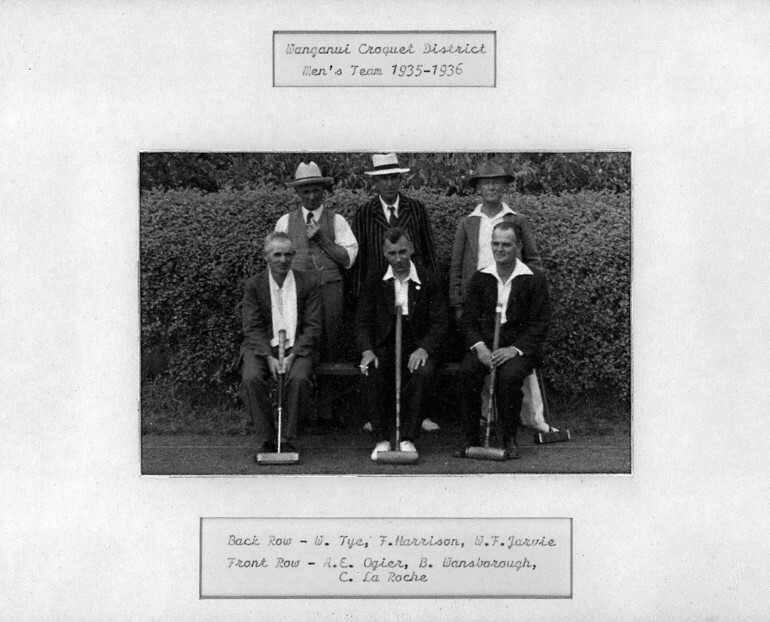 Clarry, also dubbed “The Rock”, was a member of the Durie Hill Croquet club in Wanganui. He was in the NZ Expeditionary Force in WWI: an article in the Wairarapa Daily Times of 18 September 1915 from an Expeditionary Force soldier who had served in the Dardanelles records that Clarrie La Roche was in Egypt, likely in Cairo, at that time. 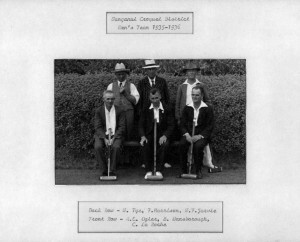 Clarry’s profession was accountancy and as such he served as the Auditor for the Wanganui Croquet Association. Information about Clarry is a little sparse but he was by all accounts both highly respected as a player and liked by all. Ashley Heenan recalled being sent to the Naenae club during the 1947 NZ Championships at Lower Hutt to play Clarry. They assumed that they’d been drawn to play in either the Open or the Men’s, both were played as best of three. Ashley made nine in the second game and that was it, Clarry’s play was both precise and faultless. However when they returned to headquarters it was discovered that Clarry was meant to play Ashley’s mother, Lady Heenan, in a handicap singles! During the 1947 Championships Clarry played 36 games (38 if you count the non-match with Ashley Heenan), and he won 32 in a row, before dropping the first game in the final of the Open to Margaret Claughton (later Margaret Rowling) and then winning the next two. Game number 36 was the final of the Handicaps Singles, and if Clarry won he would have become the first player to win all 4 events at the Championships. His opponent was visiting Australian Col. Albert Saalfield, who with the aid of a bisque took his first break to 4 back. Clarry hit and went to penultimate with a defensive leave. Saalfield hit a long shot, double peeled Clarry and pegged out both balls, leaving Clarry on hoop one and himself for 4 back. La Roche took on the challenge and was in front of hoop five before the Colonel ran 4 back which he did and then to the amazement of all ran penult. His ball finished up by the peg wired from Clarry, he forgot his second bisque but with a desperate shot ran rover for the match! Footnote – The first player to win all 4 titles at the NZ Championhips was Clem Watkins in 1954, followed by Ashley Heenan in 1958 and Tony Stephens in 1960.